This Tutorial has been tested with the iPhone XS, iPhone XS Max and iPhone XR, ipad, iPhone 5S, 5 and 4S AT&T Version and found to be successful working on icloud activation lock screen bypass on the latest iOS 8.1.3 firmware with the free download link provided below. This does also work on the latest iPhone, iPad and iPod Touch 5G models. This is only the icloud activation lock screen bypass process. See how this website provides you free service to bypass your icloud activation screen on all idevices including iPhones , iPods and ipod touch. On This tutorial, we will help you to get your iOS 12.2, 12.2.1, 12.2.3 activated and remove the Activation Screen on IPhone ,Ipad and Ipod touch which is linked to previous owner or you can no longer access your email to reset the Apple ID Email & Password which is linked to the Apple ID that was used to set up the iPhone, ipad & ipod. DISCLAIMER: This tutorial is intended for legitimate uses such as when buying a second-hand iPhone. If possible, please, try contacting the previous owner first to have them remove their iCloud account, before attempting this tutorial. Hackers from around the world are trying their hard effort to develop their software tool for iOS 12.2 icloud locked apple devices. ICloud Unlock Tool also called as “Bypass iCloud tool V8.1” View Post whose beta testing is going on for many apple idevices for complete icloud activation lock bypass. This Bypass iCloud tool V8.1 is developed by a Russian dev team which can bypass icloud activation lock screen iOS 12.2 by preserving its ios baseband and turning off find my iphone from apple database server. 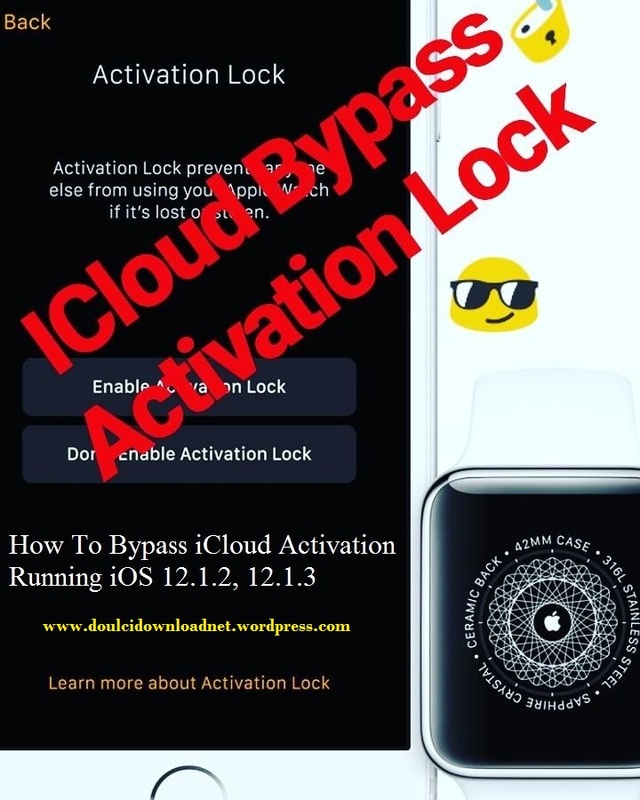 This entry was posted in Bypass iCloud Activation Lock iPhone X, ICloud Unlock Tool iOS 12.2, iOS 9.3 iCloud Bypass Activation and tagged bypass iCloud activation, bypass icloud activation 2018, bypass icloud activation ipad, bypass icloud activation iphone 6+, bypass icloud activation iphone x, bypass icloud activation lock, bypass icloud lock iPhone XS Max, bypass icloud lock iPhone XS Max how to bypass icloud lock, icloud bypass tool, icloud removal, ICloud Unlock Tool iOS 12.2 on December 9, 2018 by cydiataigjailbreak.